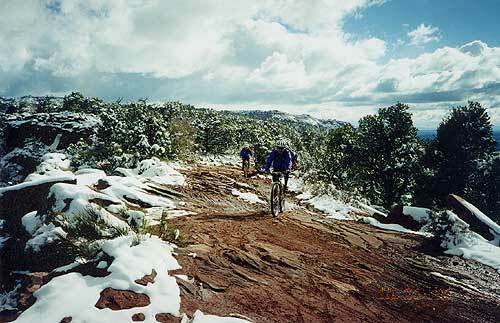 The Porcupine Rim Trail is one of the more famous mountain bike rides in Moab, Utah and one of my favorite off-road rides ever. 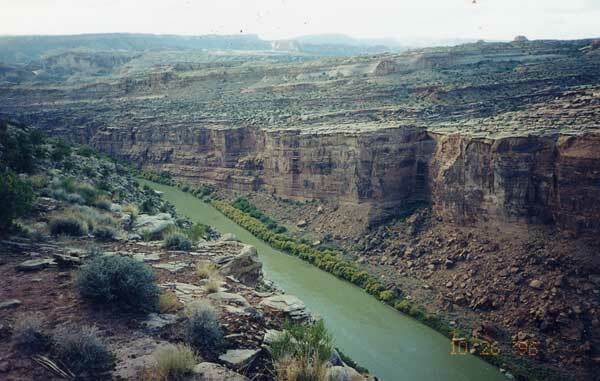 Starting from Moab as we did, it's about a 34-mile loop. Or you can get shuttled to the trailhead and avoid the first 10 uphill miles. 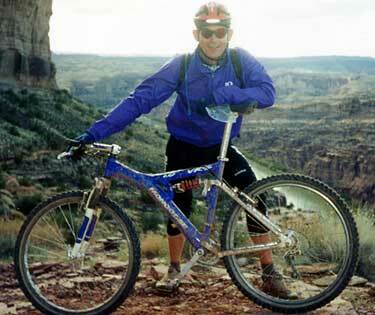 We (a group of Bicycling Magazine editors) were in Moab in September, 1996 to test full-suspension mountain bikes on the trails, and racing bikes on Moab's equally phenomenal road loops. Here are a few pictures I managed to get before dropping and breaking my camera. 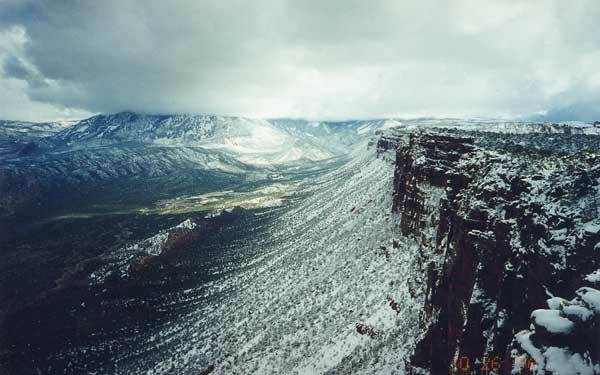 Tip: Porcupine Rim Trail is technical with rocks and drop-offs galore and high speeds. Once you reach the top, it's a long, thrilling descent, but you need good skills and good luck. One of our party got crossed up not far from the top of the trail, fell and broke his wrist (he got back safely). 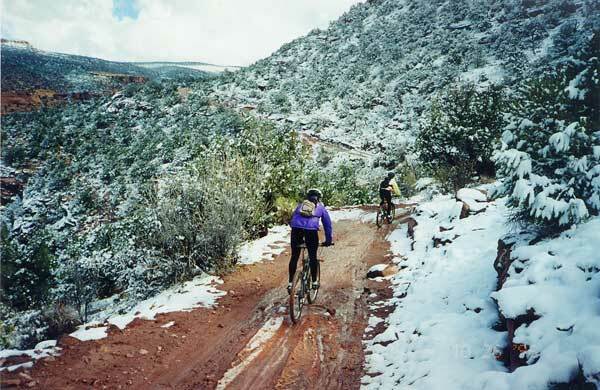 If you ride the trail, stay safe and keep it fun.